Foxglove (Digitalis purpurea) is a poisonous plant that is possibly fatal if ingested by humans, cats, dogs and horses. The poisonous ingredient in foxglove is cardio glycosides, which can cause a heart attack. Also found in oleander, cardio glycosides most often are fatal for children and the elderly, who may also experience long-term side effects. Unlike other poisonous plants, foxglove is easy to spot in the wild and hard to confuse with other plants. Foxglove is a biennial herb with 3-inch-long drooping flowers that are tubular in shape. 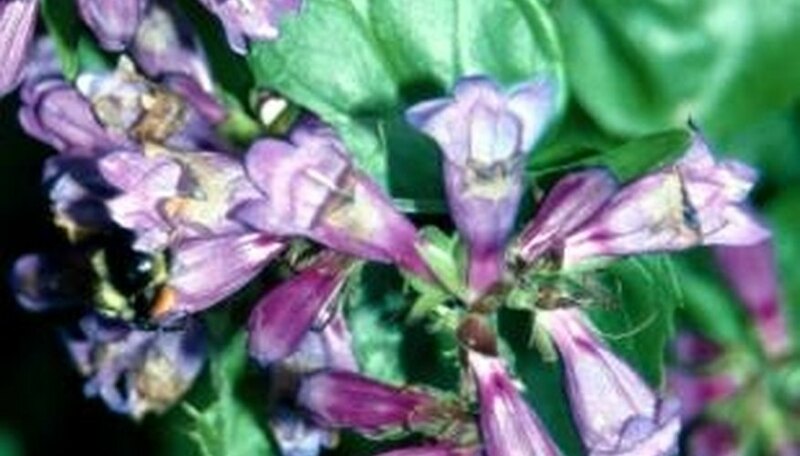 Flowers may be purple, pink, rose, yellow or white with spot marks within each tube. The leaves of the herb are simple, toothed and alternating, and fruit is small and capsule-shaped. A native of Europe, foxglove is found throughout the United States as an indoor or outdoor garden specimen. The cardio glycosides found naturally in foxglove and oleander are chemicals that cause a physical reaction in the heart, nervous system, stomach and intestines of both animals and humans. Cardio glycosides are found in the leaves, flowers and seeds of foxglove, and in all parts of oleander. When used as a medication, cardio glycosides are used to treat heart attack, but overdose of this drug can cause similar reaction as foxglove poisoning. With human foxglove poisoning, symptoms may include irregular or slow heart rate, gastrointestinal reactions such as diarrhea, abdominal pain and nausea, convulsions, headache, weakness, rash and blurred vision. If the victim ate a large amount of the plant, more serious symptoms will present, such as hallucinations, visions of a colorful halo, loss of appetite and depression. Animals, including cats, dogs and horses, may react with heart arrhythmia, weakness, vomiting and diarrhea. Humans and animals alike may experience heart failure or cardiac arrest, which is fatal. If you or your pet has accidentally ingested foxglove, seek immediate medical attention from a poison control center, emergency medical center or in the case of pets, an emergency veterinarian. The person who ingested the foxglove should not be told to vomit unless specifically instructed by a poison control center representative or medical professional. What Is a Datura Plant?